Our program provides your child with experiences that nurture their physical health and well being, social competence, emotional maturity, communication skills and general knowledge. Your child will develop independence, decision making, problem solving and social skills through play. Positions for 2019 have now opened at our centres. Please contact one of our Centre Coordinators to guarantee your spot. LIMITED VACANCIES CURRENTLY AVAILABLE. ENROL TODAY! Spunky Monkeys provides a well-balanced, stimulating and educational program for your child. We value and encourage parents to be involved in our centre and its program. We provide a nurturing and attentive environment for our youngest Spunky Monkeys. We ensure we cater for various sleeping routines. 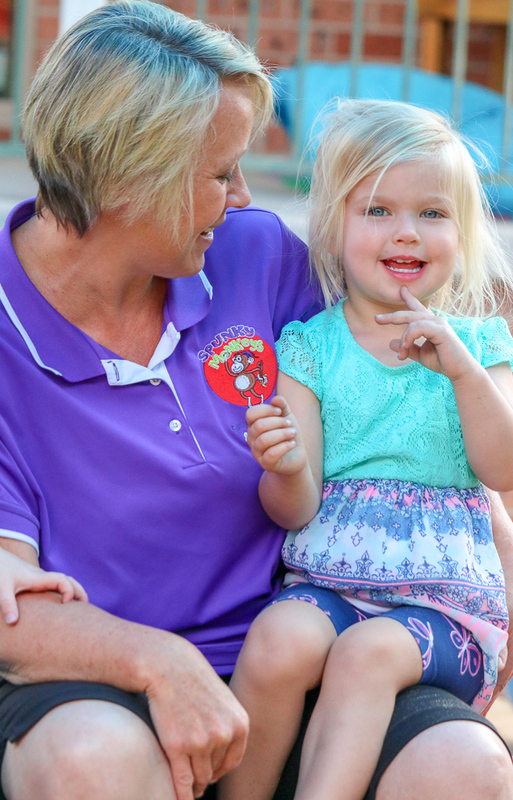 Our team of educators are committed to making your little one happy and relaxed. Read more.